Enjoy fireside cocktails at sunset on the Persimmon Clubhouse Patio. Both fine and casual dining, along with live music, is available at both the Persimmon and Ironwood Clubhouses. Anthem Country Club boasts two Championship 18-Hole courses designed by Greg Nash. Your membership allows unlimited play at both courses! Transferable and Non-Transferable memberships are available! 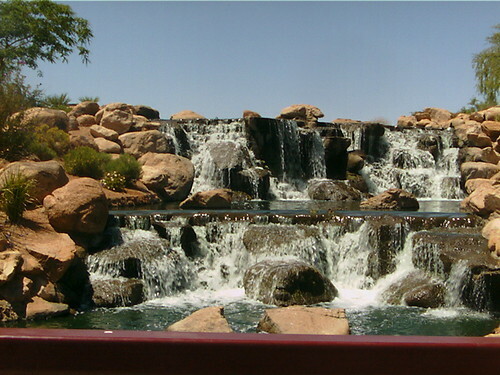 One of the waterfalls located in the 4 acre catch & release lake...at the heart of the 64 acre community park in Anthem! At an elevation of 2280 Ft, the community of Anthem is typically 5-10 degrees cooler than downtown Phoenix. Click on the link above to see the local weather in North Phoenix!